iSpring's single-hole lavatory faucet features eye-catching design. Installing iSpring faucet is an ideal home improvement project. Faucet body is constructed from Lead-Free solid brass. With the convenience and precision of single-handle control and the durability of its ceramic disc cartridge, this iSpring basin faucet will add a dramatic fashion to your bath room. iSpring lavatory faucet blends quality and durability with elegance and style. All mounting hardware and hot/cold waterlines are included. Standard US plumbing installation. Add a touch of elegance to your bathroom with a stylish lavatory faucet from iSpring. 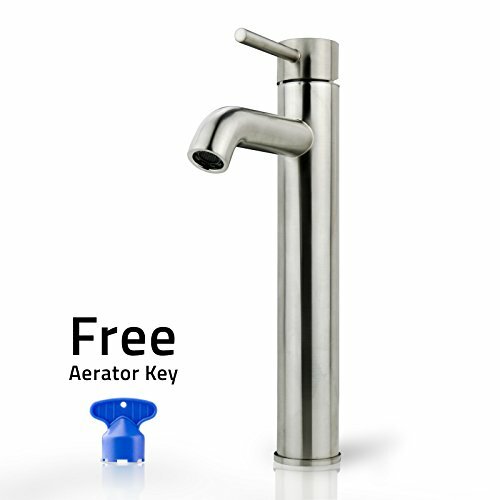 With an aerator key provided, the aerator can be easily unscrewed from the faucet spout for cleaning purposes or attaching faucet mount filters. The faucet has been tested and certified compliant with the North American standard (UPC ) for mechanical safety and reliability. If you have any questions about this product by iSpring, contact us by completing and submitting the form below. If you are looking for a specif part number, please include it with your message.